Aurora is the Latin word for dawn, and the Aurora Bar Height Patio Furniture Collection by Woodard shines like the first light of morning. The Aurora is reminiscent of classical architecture, with its clean lines and vertical slats and is suited for any décor. 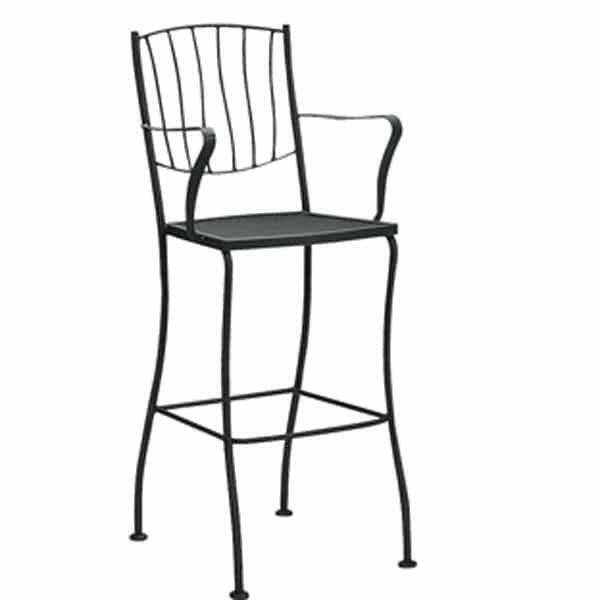 Don’t let the willowy lines fool you; the Aurora is typical of all of Woodard’s wrought iron furniture, and is built to last. Along with its solid wrought iron construction, the Aurora Bar Height set is dipped in a zinc bath to inhibit corrosion and electrostatically powder coated to withstand use and abuse. 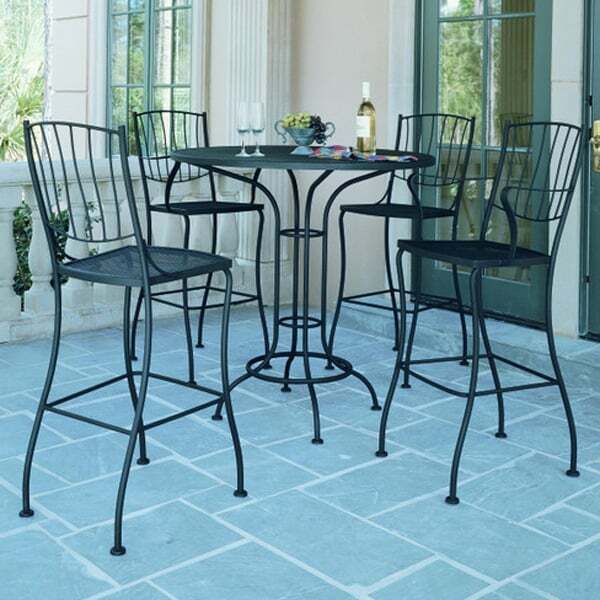 This all-weather patio furniture is perfect for any application, whether pulled up to your outdoor bar or paired with a table on your paver patio; poolside or on your wooden deck, the Aurora works. Available in your choice of Woodard’s unique finishes, let the Aurora light up your morning! 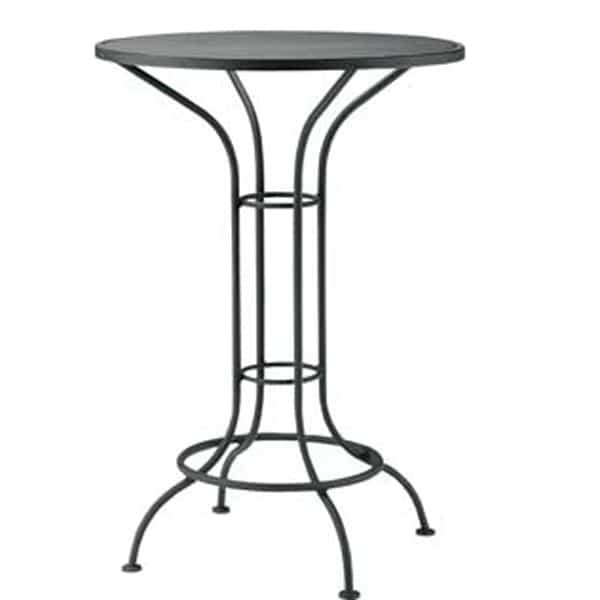 W 22.5" x D 22.1" x H 47.8" SEAT HEIGHT 30.5"
D 30" x H 42.3"
Aurora Arm Bar Stool W22.5"xD22.1"xH47.8"
30" Round Bar Height W30"xD30"xH42.3"